Amazing Clay Flowers provides complete instruction for creating stunning life-like flowers in clay as well as ideas for creating beautiful and long-lasting fl oral arrangements. 22 unique flower and floral arrangement projects are divided into seasonal sections, Spring, Autumn, Winter, and Summer, followed by themed projects including bouquets and accessories. 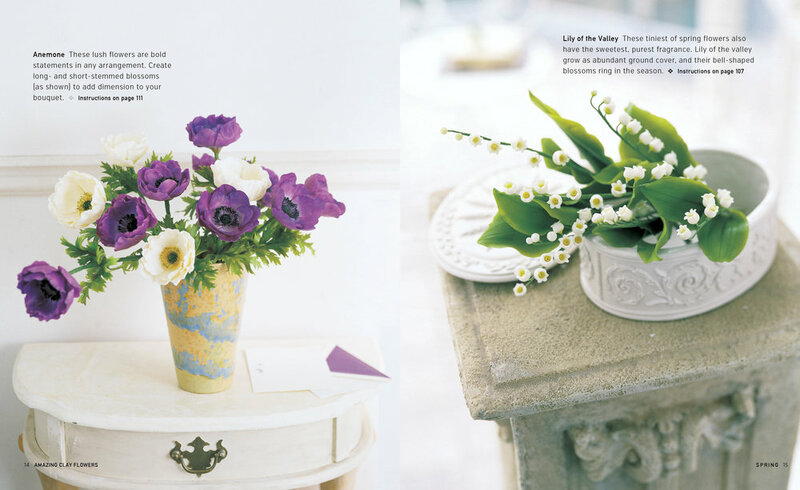 The book shows beautiful photography of each arrangement and then offers complete, photographic, step-by-step instruction for each. The amazing projects are full of intricate details and provide both inspiration for resin clay and mixed-media artists as well as clear and complete instructions.